I wasn’t expecting anything new for the 2017 model year Wranglers since the looming redesign is due out for the 2018s. I’m sure there will be new special editions to come, but for now all we know for sure is the existence of new LED headlights. 2017 Jeep Wrangler LED headlamps. The new LED headlights (and fog lights) will be standard on Rubicon and Sahara and optional on Sport models. I like the thought of improved headlights; but I’m not crazy about the design that Jeep went with on these. There are so many great aftermarket LED headlight designs that I feel would have been better to emulate than the ones pictured in the single photo that Jeep released today – we’ll see what they look like in person once the 17s start hitting dealers. Jeep also announced that Xtreme Purple, until now reserved only for the Back Country Edition, will be available on all Wrangler models for 2017 – in addition to new colors Chief, Acid Yellow, and Gobi. Returning colors for 2017 are: Firecracker Red, Billet Silver, Black, Bright White, Granite Crystal, and Rhino. Many are speculating that the Chief color will blue, similar to the paint used on the recent Chief concept – I’m hoping that Chief is actually the military inspired green from the Crew Chief concept, because I’m openly partial to Green Jeeps, and Rhino is blue enough. Jeep also announced a new Cold Weather Package (available on Sport S and Rubicon models) that adds 17 inch wheels with BF Goodrich KO2 tires, engine block heater, all-weather slush mats, Power Convenience Group, heated seats, and remote start. 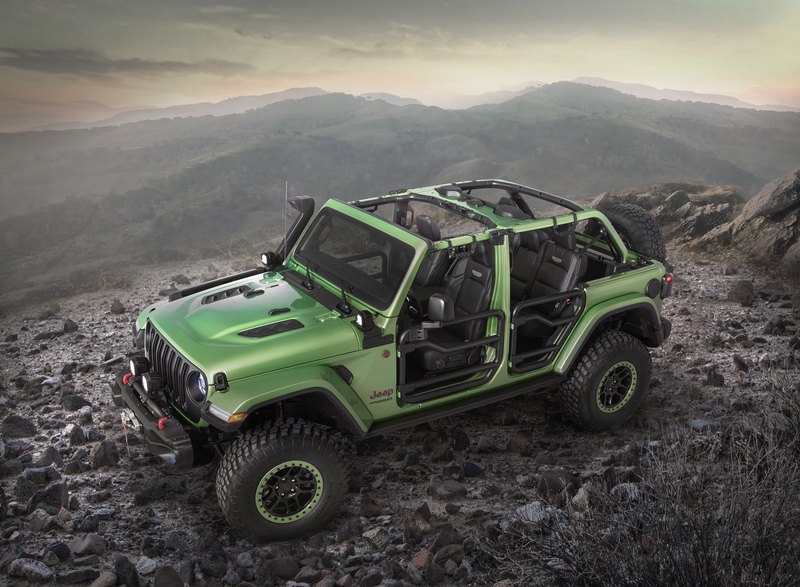 For someone looking for a great out-of-the-box off road ready Wrangler, who doesn’t want to spend the coin on a Rubicon – the Sport S with BFG’s new All Terrains should do quite nicely! Well this still doesn’t help me. We think we want the Acid Yellow 2017 Wrangler. However we don’t know what shade of Yellow, Acid Yellow is? We are hoping for a faded mellow yellow instead of another bright kiddie color. Can anyone help us, we need to get this going. We don’t want a Fiat designed 2018 Wrangler. There are no leaks or paint chips of Acid Yellow that I’m aware of. I believe it is listed as “late availability” which means they won’t likely hit dealers until next summer. Hypergreen didn’t start showing up on the 2016s until August.